Analysis: Openness, accountability and trust can lead to effective actions to reduce present and future risks. 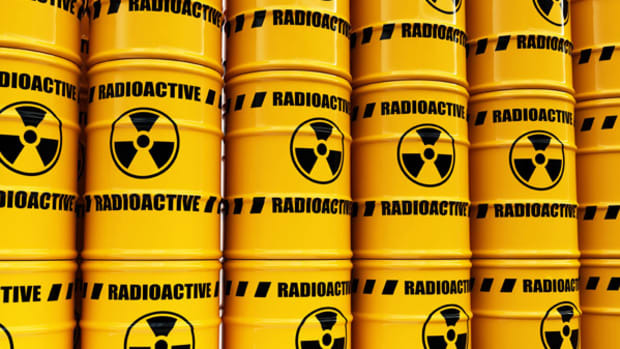 This is Part Three of a three-part series on nuclear waste. Part One covered what it will take to clean up the mess left by the nuclear arms race. Part Two outlined key issues that need to be addressed by all sides in cleaning up defense nuclear sites. In attempting to clean up the radioactive remnants of America&apos;s nuclear weapons programs, the most salient obstacle doesn&apos;t revolve around half lives and salt beds but on the miasma of mistrust that pits two sides — each ultimately sharing the other&apos;s goal — at each other&apos;s throat. Cold War secrecy and the self-regulatory status of the Department of Energy and its predecessor agencies had hidden information about off-site releases of radiation and hazardous chemicals. The DOE had not integrated the requirements of clean air, clean water and hazardous waste laws into its regulations. The culture of Cold War-crisis patriotism had kept workers from acknowledging some of the ill-effects of their employment. As the Cold War wound down, the media, activists, state regulators and Congress brought these lapses to public attention, along with concerns about the deteriorating — and, to many, dangerous — state of the DOE&apos;s nuclear facilities. The DOE officials and the contractors who managed these facilities — the very people deemed accountable for past failings — were now the ones responsible for correcting them and cleaning up. In coming years, DOE must carry out major responsibilities involving nuclear weapons, the management of radioactive materials, and environmental remediation. These will require DOE to select ... facilities for processing radioactive wastes and surplus fissile materials and for storing and finally disposing of these materials. In addition, DOE will have to transport radioactive materials through many communities throughout the country. Given the high level of public concern and sensitivity about radioactive materials ... these would be challenging tasks in the best of circumstances. The difficulty will be aggravated if the Department is suspected of hiding risks and of concealing past accidents. Openness — and the enhanced credibility that can come from it — is a necessary condition for success in these activities. Public, media and regulator mistrust of the people responsible for the cleanup. The perception among those responsible that the critics did not have necessary technical knowledge and were often led by or associated with emotional anti-nuclear activists. The historic isolation of the nuclear materials production complex, so that its participants were not used to the need to build broad support, taking account of a range of values and interests in a give-and-take process. Whether it takes 40 years or 70, cleanup needs viable, long-term interest and support. As sites in Ohio, Colorado and Missouri have been closed, and the most visible cleanup problems addressed at national laboratories in New York and California, its constituency "inside the beltway" in Washington, D.C., will shrink. Future congresses and administrations may come to view cleanup simply as a "make-work" program for a few remote areas in such states as Idaho, New Mexico, South Carolina, Tennessee and Washington. Openness, the development of trust and engagement of a variety of interests were crucial in closing two large sites, one the weapon production facility at Rocky Flats, Colo., and the other a uranium production plant at Fernald, Ohio. In both cases, DOE and its contractors entered into lengthy, often difficult discussions with state and local officials, unions and concerned citizens to reach ultimate agreement about an acceptable cleanup. The department not only shared information about past contamination but created ways to make the information widely accessible. In both cases, too, independent experts, selected with participation by local community members, assessed proposed cleanup actions. In neither case did the resulting cleanup look like either the department&apos;s first plan or the cleanup initially demanded by the more vocal members of the community. Lisa Crawford, a leading community activist at Fernald, told the author: "We met on day one with the new cleanup contractor," to present the expectation of a seat at the table for nearby residents. "They didn&apos;t have the right people at first. They were the old bomb makers. After a couple of years, we weeded them out, and then the contractor wanted us at the table." Community acceptance of the proposed cleanup standards for Rocky Flats depended on congressional action. The 2001 passage of the Rocky Flats National Wildlife Refuge Act provided sufficient comfort for most people to accept the degree of contamination left near the surface. The act also provided what many in the Denver metropolitan area regarded as a high-value use of land amid urban sprawl. Cleanup of Rocky Flats and agreement to proceed with substantial cleanup actions at Oak Ridge, Idaho National Laboratory and Hanford could not have happened without development of the Waste Isolation Pilot Plant near Carlsbad, N.M., to receive transuranic wastes. The successful development and operation of WIPP — which warehouses nuclear waste in a 250 million-year-old salt bed 2,000 feet thick — clearly illustrate the importance of openness, engagement of many diverse interests and the resulting development of trust among the public. Congress authorized construction of WIPP in 1979; the facility opened nearly 20 years later. First, however, DOE issued a series of environmental impact statements, holding many public hearings and meetings throughout the country as well as in New Mexico. The department received and responded to thousands of comments. The DOE funded the independent Environmental Evaluation Group, whose director was selected by New Mexico state officials and staffed from the New Mexico Institute of Mining and Technology. The group reviewed the scientific and technical information the Energy Department produced in support of WIPP. Settlement of a lawsuit gave the state a regulatory role. In the WIPP Land Withdrawal Act (1992, 1996), Congress carefully balanced interests within New Mexico, environmental concerns, the role of state and federal regulators and the desire of other states to get rid of their transuranic wastes. DOE also entered into working relationships with regional groups of states and with Indian tribes to develop safe and acceptable practices for transporting wastes to WIPP. The Western Governors Association, working cooperatively with DOE, pioneered a set of protocols to govern shipments of transuranic wastes from Rocky Flats, Idaho National Laboratory, Hanford, and sites with smaller volumes in California and Nevada. Other regional organizations have embraced these protocols. There have been some 7,000 transuranic waste shipments to WIPP over the past 10 years. State regulators and state, local and tribal emergency responders monitor the shipments. DOE has provided emergency response agencies with training and resources to deal with accidents. DOE and its WIPP contractors have met with the public along all transport routes. As of October 2008, WIPP trucks had logged 8,145,150 loaded miles. They had been involved in about a dozen traffic accidents, none of which resulted in releases of waste or serious injury. As a result, there has been very little opposition to the shipments since the first several in 1999, let alone effort to disrupt or divert shipments. And, ultimately, the level of trust achieved among several interested parties, including DOE, other federal agencies, state regulators, local governments, American Indian tribes, workers and unions, environmental activists and the news media. Increasing strain on the federal budget is likely to provide both pressure and opportunity for the Department of Energy to focus on the first of these — scientific risk analysis — as a basis for decision-making. That pressure will also be felt by regulators as they exercise their discretion. In these circumstances, both community values and mutual trust will get short shrift. Moreover, openness has suffered since the terrorist attacks of September 11, 2001. Information about past contamination and processes at defense nuclear sites is less available, so the engaged citizen&apos;s role is harder (although the newly installed Obama administration already has issued an executive order calling for federal agencies to "adopt a presumption in favor of disclosure" when the public requests information). Persistent engagement, however, is critical for two reasons. First, the legacy of waste and contamination at defense nuclear sites is not necessarily stable. Aging tanks will leak, contaminated groundwater will spread and unlined landfills will leach their contents. Narrowly defined risk analyses often fail to address these realities. Second, the legacy of waste and contamination from nuclear weapons production is a relatively bounded (albeit technically complex and expensive) problem. If contemporary American society can put the above elements together to find acceptable, sustainable solutions to this problem, valuable lessons can be learned about how to face larger issues where technology and values interact — like global warming and the future of nuclear power. Analysis: Waste disposal after decades of nuclear weapon production will require taking risks. In Part One of a three-part series, the author of America's Nuclear Wasteland analyzes what it will take to clean up the mess left by the nuclear arms race. Reprocessing Nuclear Fuel Makes Sense, But Is It Sensible? Reprocessing spent nuclear fuel appeals to the modern urge to recycle, and some past concerns may be surmountable, but it remains an expensive and fraught process. In the Salado salt formation a half-mile below the New Mexico desert, WIPP has room to store all the radioactive waste an expanded nuclear power program could produce. Emphasis on the word could.